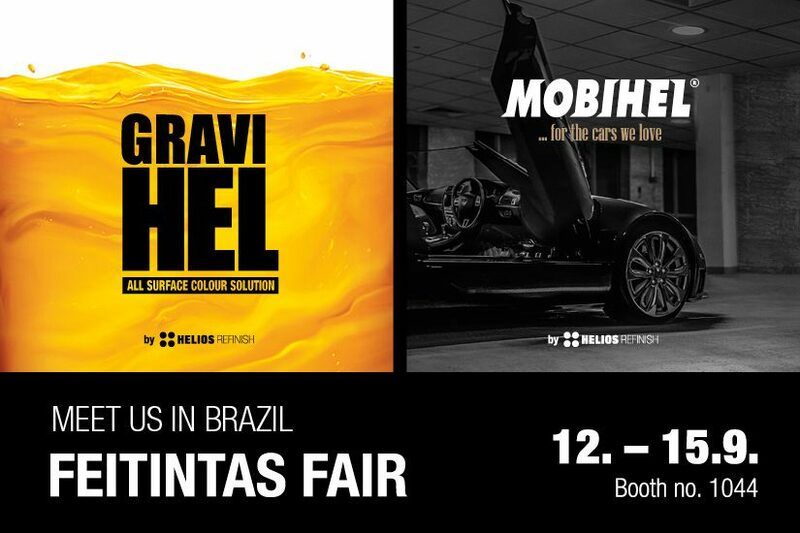 Take the opportunity and visit Helios Refinish at FEITINTAS, one of the leading South American trade fairs in Sao Paolo, Brazil. FEITINTAS is one of the most important events for the real estate paint market, automotive and industrial refinishing. Helios Refinish team is entering the market for the first time and will tell you more about the latest trends and development in the car refinish segment, emphasizing the Mobihel and GRAVIHEL brands. Visit us between September 12–15, 2018 at booth No. 1044, Sao Paulo Expo – Exhibition & Convention Center. You can find more information on FEITINTAS website: http://feitintas.com.br/16/en/.